You will find these recipes to be reliable, family favorites from THE URBAN HOMEMAKER. 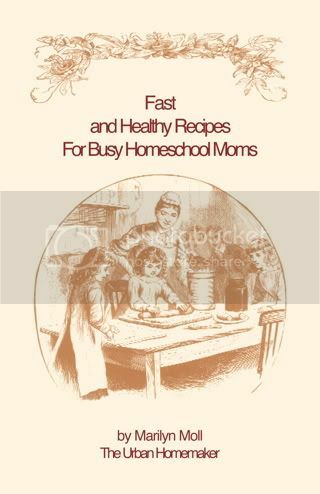 We have been homeschooling our children for more than 16 years and want to share our streamlined menu planning methods and recipes. I particularly encourage you to bake your own whole grain breads as a tasty, healthy, and economical alternative to commercially baked goods prepared from refined ingredients stripped of much of their nutritional content. For more bread baking information and recipes go to this link. For recipes, inspiration, baking tips, and information in the Spirit of Titus Two join our bi-monthly newsletter at this link.